It goes without saying that our home becomes the reflection of ourselves, based on how we maintain it and take care of it. However, the bathroom or the toilet seems to be neglected most of the time. So what stands out when someone enters your bathroom? It is the shower head, the faucets, the towel rails or the toilet seat? I will stop you there and say, you should preferably go for the perfect toilet seat or rather the best elongated toilet seat. 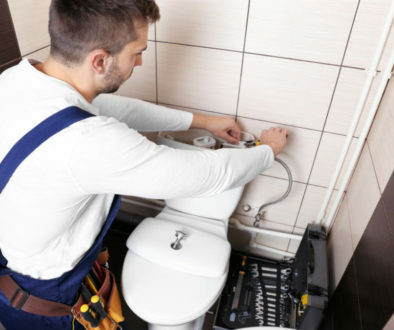 Having the entire bathroom remodeled will be very costly, of course. 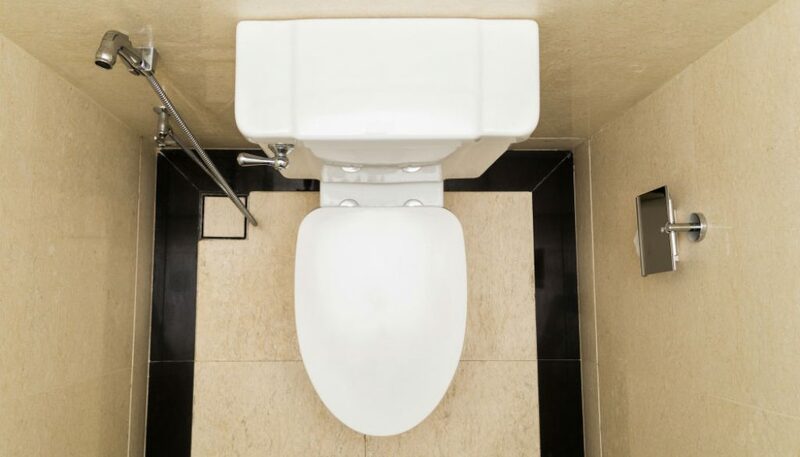 So on this post, we will talk about the best elongated toilet seats available in the market today. To give you options of what products to check out and make things easy for you, read on the comparison of the three products below. 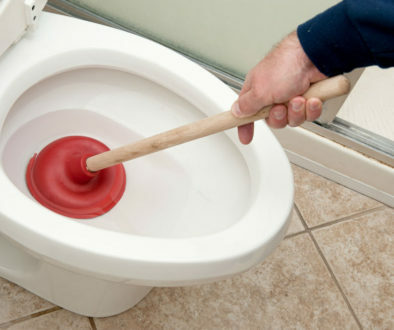 What Are the Best Elongated Toilet Seats in the Market Today? 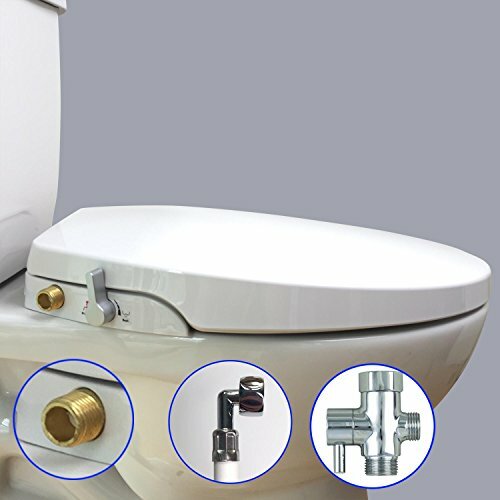 In this post, we will discuss the product features, pros, and cons to help you decide in choosing the perfect elongated toilet seat for you. This elongated toilet seat comes with a bidet spray and is non-electric for safety purposes. It has a dual nozzle sprayer design for bidet and rear washing, and the flush volume can be adjusted too. ​This sprayer is amazingly safe as it is non-electric. Flush lever can also be adjusted to control wash.
​The issue with this sprayer is that the water temperature cannot be adjusted and it has no heated seat. 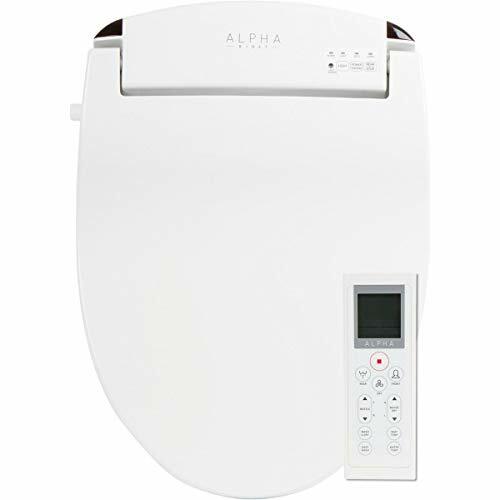 ​The Alpha JX bidet toilet seat is made around a tankless, energy-efficient water heating system. The instant heater provides on demand, endless warm water with minimal to zero startup lag. The bubbles are combined into the wash stream by an air pump during the wash to give a soothing feeling. It uses less water, about 40%, compared to bidets that are tank types, and it is designed to be quiet—no pump noises or loud motor. ​​It has an air dryer that is warm and comes with an adjustable temperature and also has a night light. ​The only issue with this unit is that it is electric powered. This product is a high-quality toilet seat with double stainless-steel nozzle sterilization that utilizes nanotechnology to stay germ-free. 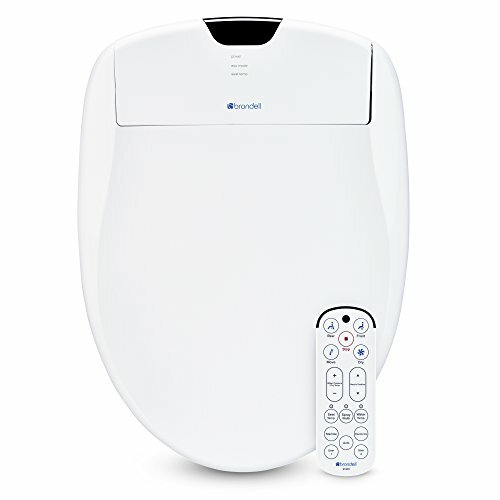 It has a single-touch automatic mode and programmable user settings to deliver the best hygienic restroom experience at the slightest touch of one button. It also has a replaceable deodorizer, a cool illuminating blue nightlight, aerated spray wash, nozzle oscillation, and unlimited warm water heating system. 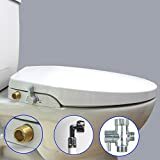 Its sleek shape makes for the top-notch toilet fit, and it also comes with hidden pockets to make sure that the water hose and electrical cord stay hidden. ​This unit comes with a remote control which docks magnetically into its holder​ with adjustable water temprature and pressure. ​The issue with this unit is that being electric and moreover, it has no power saving modes. 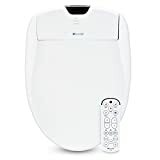 The Hibbent Elongated OB106 is a non-electric elongated toilet seat that comes with a bidet spray. It boasts a dual nozzle sprayer design for bidet and rear washing purposes, and the flush volume can be adjusted too. The Alpha JX is programmed with a unique easy-wash button which activates a full-pressure rear wash that comes with nozzle oscillation. The key is well-suited for those who want the best clean possible without the need to adjust many settings. It is also accessible and easy to use with its wash and dry button. Additionally, it also has power saving modes and uses 40% less water compared to tank type bidets. The Brondell Swash has a programmable user setting which makes almost everything automatic and adjustable. The nozzles are sterilized using silver nanoparticles, thus creating an on-demand wash that rinses and sterilizes the nozzles clean. This seat is also helpful to those with mobility issues since it has an adjustable warm air dryer that eliminates the use of a toilet paper. It can even eliminate bathroom odors at a touch of a button with its replaceable deodorizer. These three products are indeed among the best elongated toilet seats in the market today. Each has advantages that will be beneficial depending on your need. If you want an uncomplicated and safe toilet seat with antibacterial features and delivers a hygienic experience, your choice is the Hibbent Elongated OB106 Non-Electric Toilet Bidet Seat. It comes with a dual nozzle sprayer for front and rear washing, and it has a silent, soft close seat with cover. Its flush volume can be adjusted too. If you want a more advanced and luxurious option, you can choose between Alpha JX Elongated Bidet Toilet Seat and the Brondell Swash 1400 Bidet Toilet Seat. They are both operated by a remote control and have adjustable water temperature and pressure. They both come with heated seats and nightlights too. Furthermore, we’d like to reiterate that choosing the best elongated toilet seat, or any other product for that matter, depends on your preferences and needs. What is best for others might not be the best for you, and vice versa. It is wise to always consider essential factors such as budget and purpose, before you go ahead and make a purchase, otherwise, you might be making wasteful purchases after another, which may eventually result to disaster.